Welcome to The Owl Channel! Here you can watch wild Barn Owls (Tyto alba) in live 24 hours a day, 7 days a week. They roost and nest in an owl box we call the Hideout. We have cameras inside the Hideout as well as cameras outside to see them come and go. For more information visit The Owl Channel. The Website has many pictures of the different barn owls that have been here as well as eight live video streams along side of our moderated G rated Chat. The most recent pair of owls at the Hideout are named Didi and Jasper. They started their first clutch in December 2016. Didi had two eggs but she abandoned them most likely because the owlets from the previous clutch were still in the area and creating havoc in the box. In Febuary, 2017, Didi and Jasper had a successful Clutch 2 and in June, 2017, Clutch 3. The eggs were abandoned and did not hatch. Hans and Didi had their first clutch in 2014 and were very successful. During the hatch of their 5th clutch, Hans went missing. Didi has remained to continue raising the clutch. Supplemental food was supplied by the site owners and all of the owlets successfully fledged. Many generous viewers made donations to help purchase the supplemental food. During this time, a new male owl, named Jasper, mated with Didi and adopted the owlets in the clutch. Unfortunately, the first clutch did not have any successful hatches. The prior pair of barn owls to nest at the Hideout were named Roy and Dale. They had three successful clutches. The first pair of barn owls inhabited the Hideout in late 2010. They were named Bonnie and Clyde and they raised 1 clutch before moving on. This site provides live video streaming of various species of owls. Owls are carnivores. They hunt, kill and consume small rodents and other small animals. This is nature and contains scenes of the cycle of life which may occur at any time without warning. Welcome to our G-rated chat! No arguing, rudeness, bad words or acronyms of them. English only. No ages, religion, politics or all caps posts, one emoticon per post, no clappyhands. Please, no TV or sports spoilers! Note from Moderators: Please visit our chat room where everyone is welcome and encouraged to chat, smile, joke, give observations, and most importantly, have fun! The moderator's job is not to be an owl expert. The moderators are entrusted by the Website host, Owlcamguy, to ensure that chatters feel comfortable in the chat room while adhering to chat room rules and respecting others. Please remember this as you make comments and general observations. Whether you are a veteran owl watcher, or a chatter who has just joined the chat room, your comments and viewpoints affect others in the room. The moderators have full authority to ban chatters as they see fit. Do not appeal to Owlcamguy as he will not respond. 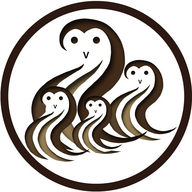 Owlcamguy provides this Website for all to enjoy with live video streaming and live chat through donations and personal expense. Please understand that while the primary purpose of the Website is for enjoyment, there are times of great sorrow as we witness the harshness of Nature. Copyright Notice: The Owl Channel™, owlchannel.com, Owltlaws™ and all content is copyrighted by Owlcamguy: that includes all audio, video, written material and photographs. No unauthorized reproduction of images or sounds may be made without written consent of the content owner, including but not limited to any commercial use, sale, or distribution thereof. Screen shots are copyrighted material as they are a photo or digital image of copyrighted material. The owner grants permission under Fair Use terms of copyright law for personal use, free public posting, and media reporting.